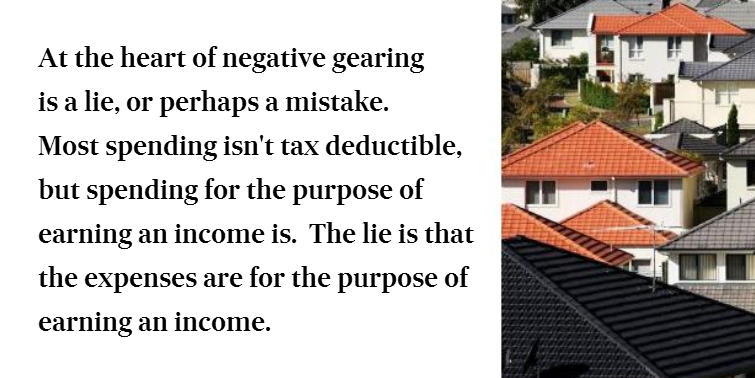 How easy would it be to move against negative gearing? Soon after the introduction of the higher education student loan scheme, the Tax Office noticed something odd. Graduates were meant to start repaying their loans when their income climbed above a certain level. But instead, some borrowed to buy investment properties which they rented out at a loss to keep their taxable income below the threshold. So government changed the rules. From then on graduates could lose as much as they liked on rental properties, but their income for purpose of determining their HECS repayments became their income before negative gearing rather than after. Government toughened up more than HECS. Quietly, it outlawed negative gearing in the calculation of the Medicare surcharge, the Private Health Insurance Rebate, the Seniors and Pensioners Tax Offset and the Higher Income Superannuation Charge. It would be dead easy to do it for the calculation of tax, and it would be consistent. Taxpayers would be able to lose as much as they liked renting out properties. They would even be able to use the losses to offset profits from other investments and carry them forward to offset any profits when they eventually sold. But, as in Britain, Canada, the US, France, Germany, Japan and most of the nations with which we compare ourselves, they wouldn't be able to use real estate losses to cut the taxable income from their salaries. There's a reason surgeons, lawyers and mining engineers are far more likely to negatively gear than nurses, teachers or police. 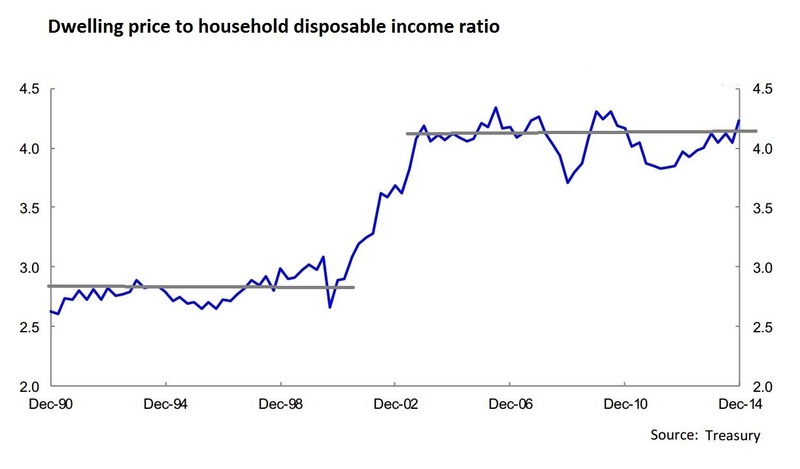 They have much bigger taxable incomes they are trying to get down. They often try to get them down below $80,000, where the second-highest tax rate cuts in. 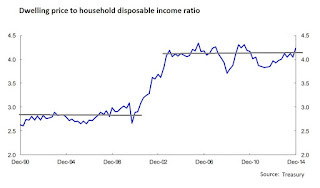 Howard's tax adviser John Ralph times disposable income. At the last count one in every seven taxpayers were landlords. But they've been increasing the stock of houses, right? Not much lately. 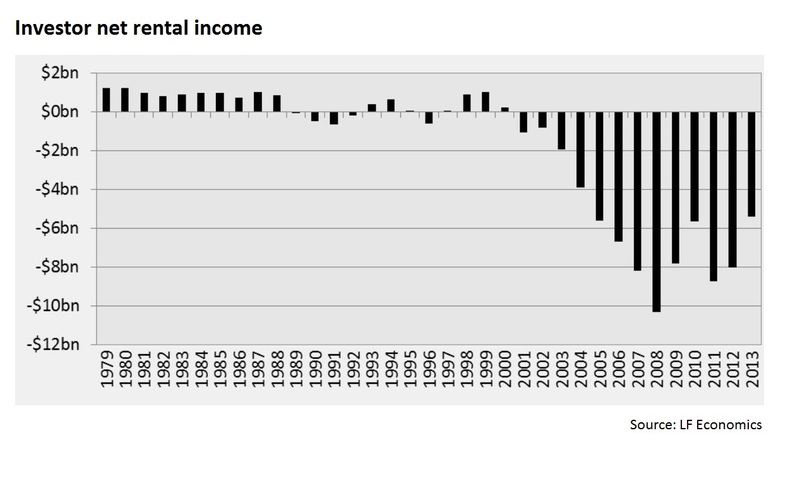 Back the 1980s one in every five dollars lent for investor loans was used to build a home. Now it's one in every 35. We're told that negative gearers are at least increasing the supply of rental housing, and many believe they are. But by pushing up prices and outbidding would-be owner-occupiers they are also helping create the supply of tenants to rent those properties to. They are often renting to people they have outbid. And we are told they are holding down rents. That's >impossible to test without restricting negative gearing, as Labor actually did for 2½ years in the mid-1980s. The charts show Melbourne, Brisbane, Adelaide and Darwin rents fell, Canberra rents dived, Hobart and Sydney rents climbed and Perth rents soared. Nationally, there wasn't much in it. With little obvious justification for continuing the tax dodge, both sides of politics are planning to wind it back, but gently. Labor would allow everyone who is already negatively gearing to continue to gear their existing properties (a concession it didn't extend when it tightened HECS), and it would allow taxpayers to negatively gear new properties so long as they were newly built. The Coalition is looking at capping either the number of properties each taxpayer can gear (one of its members, Queenslande rBarry O'Sullivan owns 42) or the total loss any one taxpayer can claim. Neither measure would do much. But what would is the associated cut in the capital gains tax concession. Labor wants to cut the concession from 50 per cent to 25 per cent, meaning that for assets bought after mid-2017, three-quarters of the eventual capital gain would be taxed rather than half. The Coalition is toying with matching Labor's proposal (if has been careful to attack Labor's proposed changes to the negative gearing rules rather than the capital gains concession) or cutting the capital gains discount from 50 to 40 per cent. A 40 per cent discount was recommended by the Henry tax review on the proviso that it was extended to income from other forms of saving such as bank interest. It would be a popular measure. 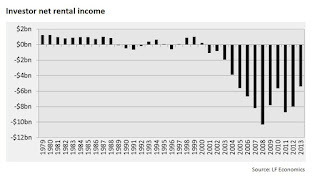 "A more consistent treatment of household savings would encourage households to seek the best pre-tax return on their savings," the review said at the time. "It would also largely remove the current bias towards negatively geared investment in rental properties and shares and so reduce a major distortion in the rental property market." What tax debate? What white paper?